Easier said than done, right? I love this proverb. I think we have enough to worry about in life without getting caught up in the drama of other people. I wouldn’t take this to an extreme of not caring for your neighbors and not having empathy and sympathy for those around you. I think the point is to basically mind your own business. This is very applicable in the world of parenting. I don’t think most people like being told that they are wrong, especially when it comes to being a parent. We all need to remember there is no one right way to be a parent and it is not our place to wander our town and let everyone know what they are doing incorrectly. I have a friend who was once followed home in her vehicle and chewed out by a woman older than she. This woman let my friend know things she was “doing wrong” as a parent. This woman was a stranger to my friend and had made this judgement call of wrong based on a few minutes of observance. I am sure that as a parent you have been corrected by someone, so you know how it feels. Always remember that. Other people’s children are not your monkeys, and unless those monkeys come join or mingle with your circus at the time, it isn’t your concern. 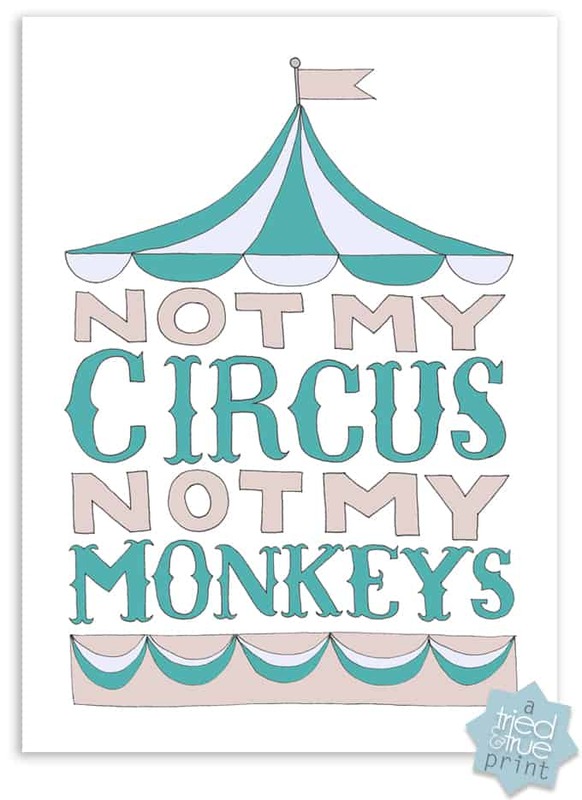 And the next time you get informed what you are doing incorrectly (my grandmother once informed me that my 8 month old son would never learn to talk if I didn’t talk to him more while I fed him his dinner…), you can just say (aloud or to yourself) “Not YOUR circus, not YOUR monkeys,” smile, and move along.